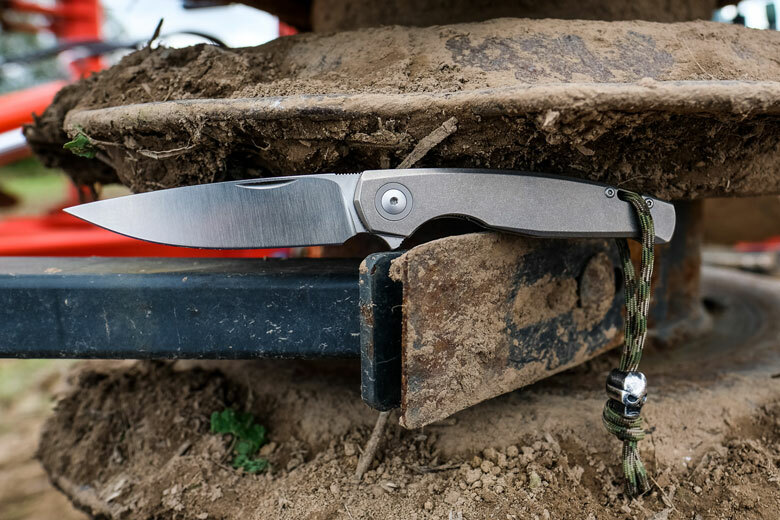 Imagine a slim, smooth, handsome EDC-sized flipper in premium modern materials. Sounds good, right? In a nutshell, that’s the new Giant Mouse GM3 folder. 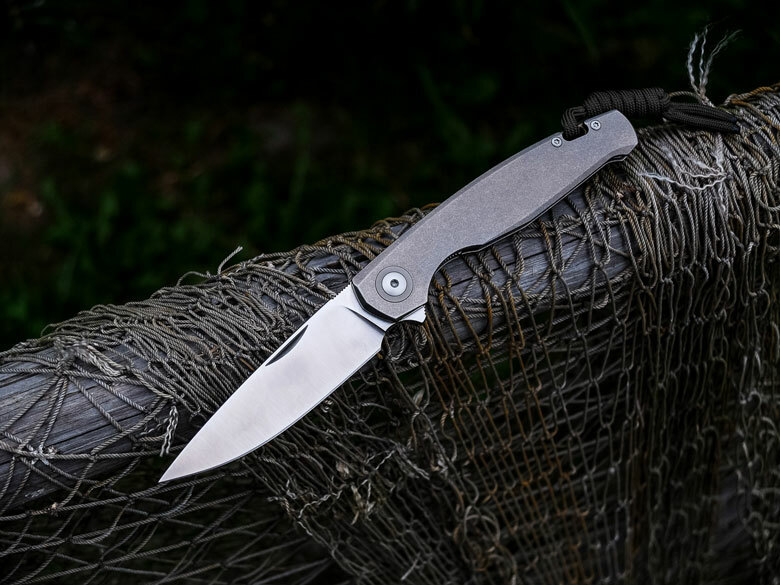 This isn’t my first Giant Mouse knife and I actually know the designers very well, (Jesper Voxnaes and Jens Anso) so my expectations were quite high. It’s also a relatively new model, but after daily usage during long family holidays, (in the remote countryside) I can definitely tell you a thing or two about it. Let’s start with its overall appearance. 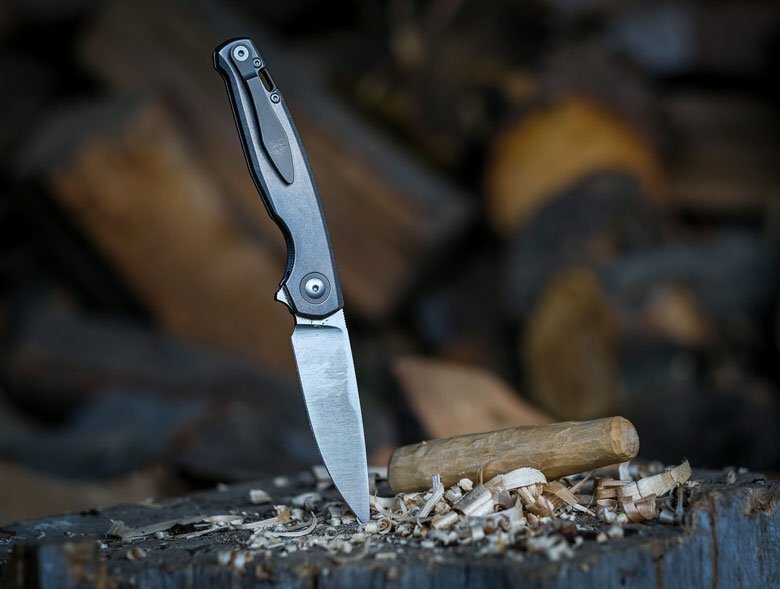 The GM3’s outline is slim and elegant and the contoured titanium handle follows the blade’s clean lines. The first impression after unboxing is immensely positive and then you notice all the details like the titanium pivot collar and titanium backspacer with integral lanyard hole. Also the fine jimpings on blade, flipper and backspacer, not to mention the 3D carved clip. 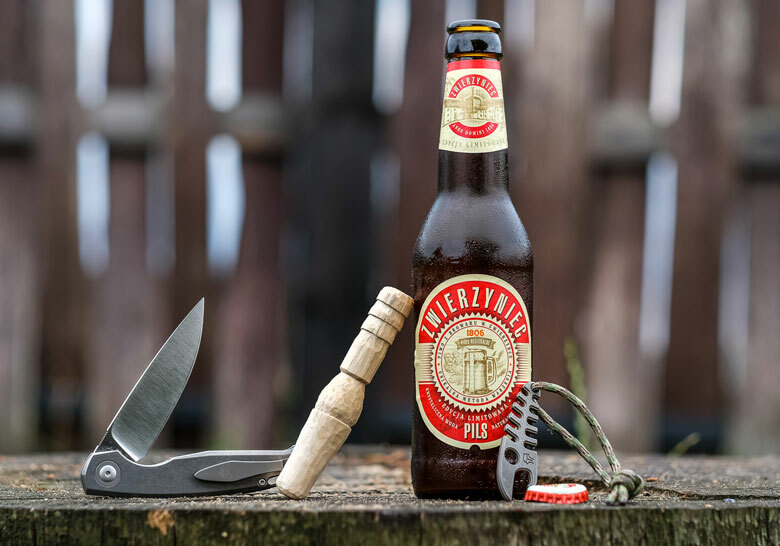 Finally you notice the logo and designers’ names cleverly hidden inside the handle so that the knife stays aesthetically sterile on the outside. The flipper and finger choil form one flowing line with blade and handle, eliminating any sharp “steps” in blade-to-handle junction, which is so common on many production knives. The materials used on the GM3 aren’t too shabby either. 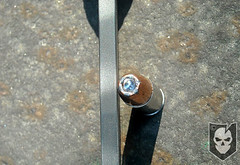 The handle slabs, clip, backspacer and pivot collar are all CNC milled in Titanium. I’m a Ti junkie, so the choice of material is perfect for my taste, but if nothing else it’s lightweight and tough. Bohler’s M390 blade material is also a very welcome addition. It’s a stainless “tool” alloy, which offers high toughness, holds an edge for a long time and cuts aggressively. Honestly, I’m not too crazy about all the new super-steels available and my golden standard is still properly heat treated S35VN. 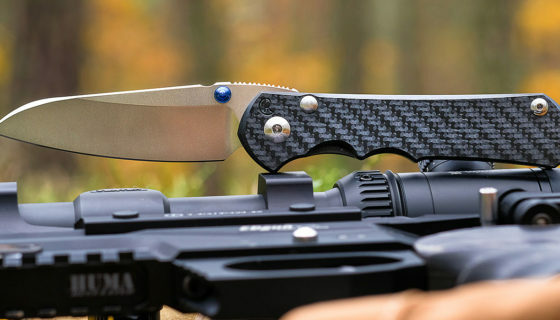 However, it’s hard not to be impressed with M390’s performance! 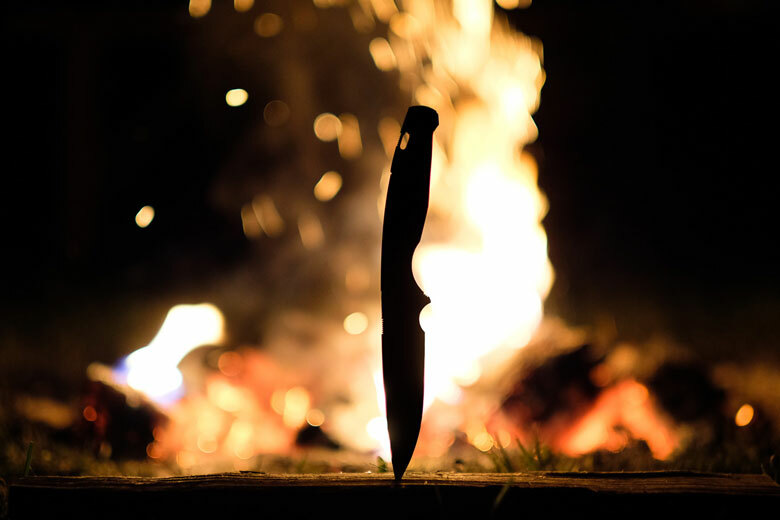 There’s a reason it’s considered by the knife industry to be one of the best steels available today. The linerlock inlayed in the Titanium chassis is made of springy stainless steel, which works well, doesn’t stick to the tang and should last a lifetime without much wear. Although my preferred lock is always a titanium frame lock, the GM3’s liner locks the sharp blade without any complaints. The blade moves on ball bearings, which is very welcome for a flipper. It’s smooth, with blazing fast flipping action. 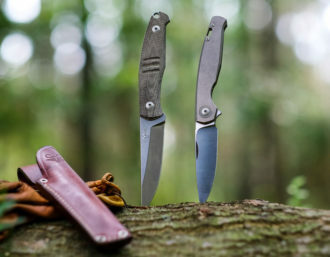 I will mention that the flipper’s “breaking point” could be a bit lighter in my opinion, so with all that being said, technically the GM3 is more than just good; it’s clearly a premium knife. The GM3’s anatomically shaped handle, enhanced by crisp jimpings, makes the grip absolutely reliable and safe. However, it’s still a fairly slim handle so if you’ve got bear paws, this might feel a little bit small. No worries though, it locks positively in your hand and it won’t slip out. In an effort to better describe the fit of the knife in my hand, I wear #10 gloves. The 3D-sculpted pocket clip positions the GM3 relatively high in a pocket, which makes it quick & easy to deploy. Though this also means it’s clearly visible if not covered by shirt or jacket. At roughly 3 ounces, I barely noticed it in my combat pants, jeans or khakis. 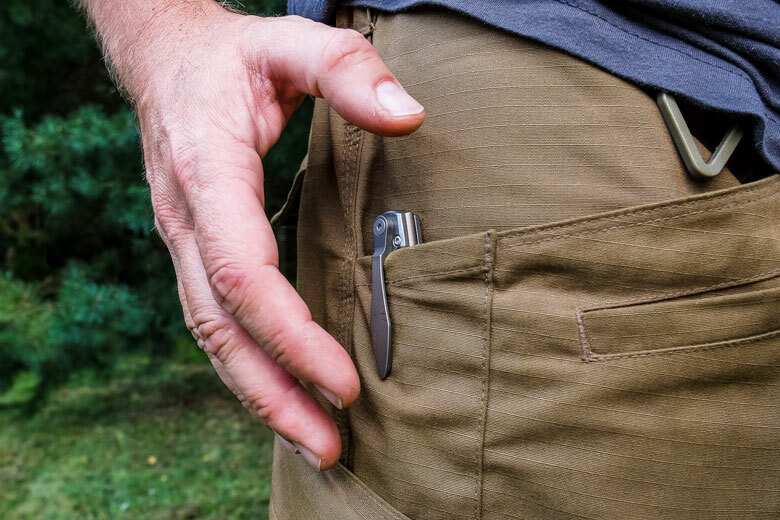 Plus with its overall slim profile, it fits and sits perfectly in a dedicated “folder” pocket, like pictured below in my PDW Odyssey Cargo Shorts. Which, by the way, are a great choice for outdoor hard wearing shorts and I can’t recommend them enough! Cutting through food wasn’t really a challenge for the GM3, so I tried it on a heavy hemp rope (about 1” in diameter, maybe a bit more). 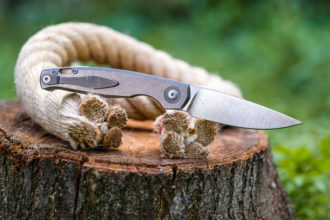 The blade comes very sharp from the factory, but I stropped it even more to insane sharpness (believe me, you can get that M390 really sharp.) As you can see below, the one pass cut is uniform and clean, thanks to the full-height grind geometry and thin cutting edge compared to most production knives today. That’s how you should grind a cutting tool! As I said, M390 cuts rather aggressively, which is standard for today’s top tool steels. The blade is also distal tapered towards the tip, (which is not a common feature) so it penetrates effortlessly like a needle. Be careful though, it’s definitely not a prybar kind of knife! 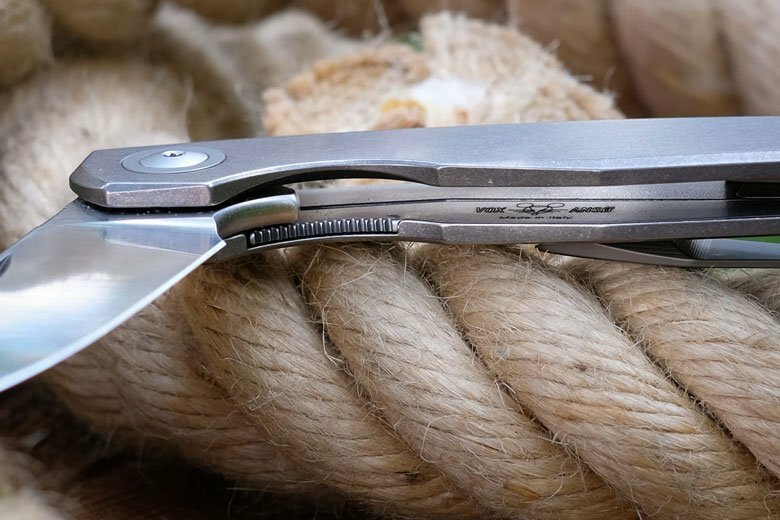 However, as long as you apply common sense when using the GM3, it won’t snap at the tip and will remain a super-efficient cutting instrument for a long time. 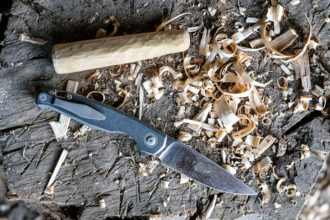 It’s hell of a whittler too; properly hardened M390 whittles on and on! I started my small project with a seasoned piece of birch wood (relatively hard), thinned it roughly with my hatchet, then whittled down and carved an “anti-bee” beer cork. It’s a great gadget for late summer days with all kind of bugs flying around. The last thing you want is a gulp of cold beer with a bee or wasp in there! My GM3 cuts precisely and fairly effortlessly through hardwoods like I was playing around with. 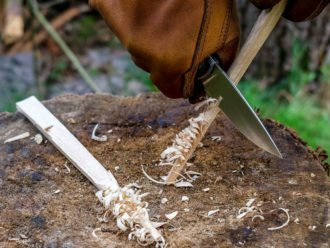 Sure, my zero-ground dedicated Mora carving knife is a finer woodcraft tool, but it’s a specialized tool; which excels in one task and lacks in others. The GM3 seems to be a jack of all trades in this regard and a very good one at that! 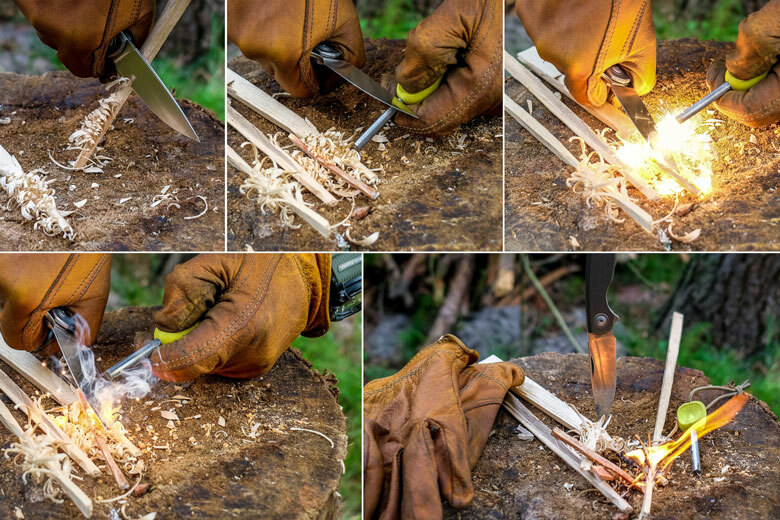 If it whittles so well, then it should also be easy to produce feather-sticks too, right? It’s indeed an easy job with the GM3, thanks again to that fine cutting edge. Batoning though? Well, not really. 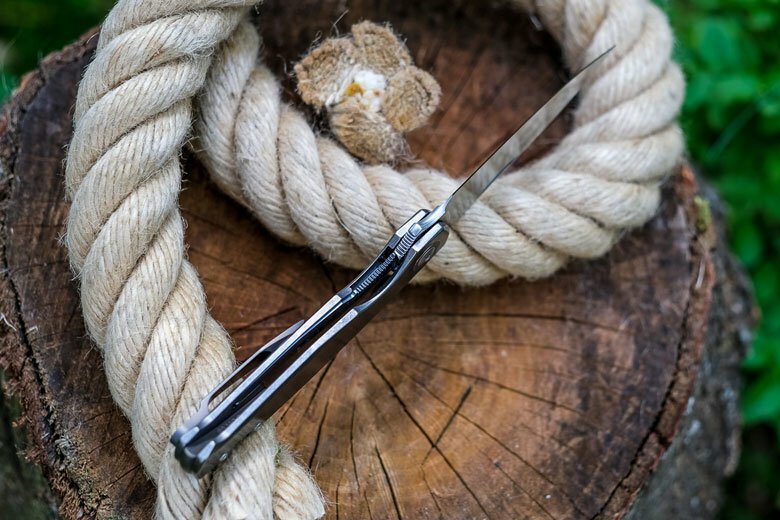 Such a fine slim blade ending with a needle-sharp tip could easily snap under a heavy wooden baton. 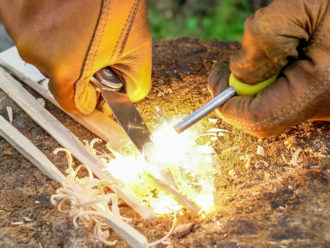 It’s just not the right tool for the job. 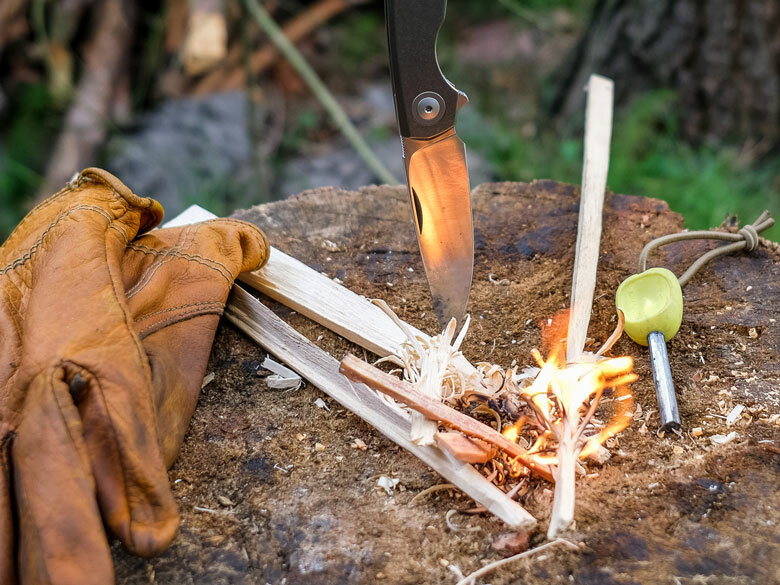 If you’d like to use a knife for that then the GMF2 fixed blade would be much better choice of knife. 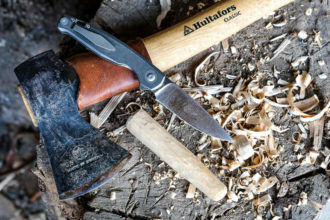 Or just use a hatchet. Now moving onto fire starting! Although the GM3’s spine is rounded, I’d describe it as progressively rounded towards the handle. Actually the front 1/3 has a sharp spine edge, which effectively throws sparks from a ferrocerium rod. That was a huge surprise for me! I don’t know if it was intentionally designed as such or not, but it works and this feature should be communicated by Giant Mouse. Which makes GM3 a wolf in sheep’s clothing. 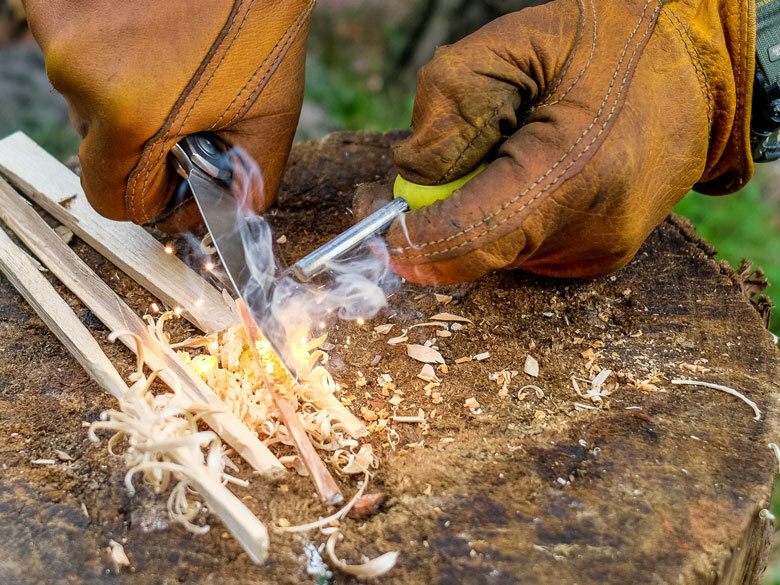 It’s an important one, as not many folders can throw sparks so well with a spine edge. 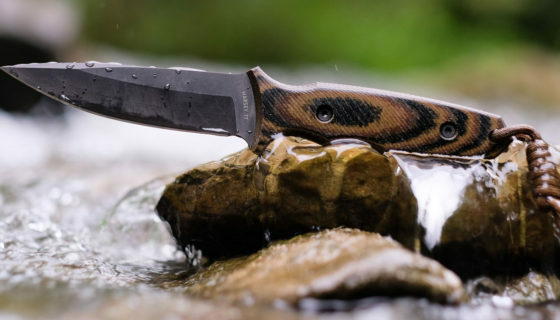 Take my word for it, for an outdoor knife that’s a big thing. I’ve started at least a dozen bonfires during my August holidays with the GM3 and my classic Hultafors trekking axe. 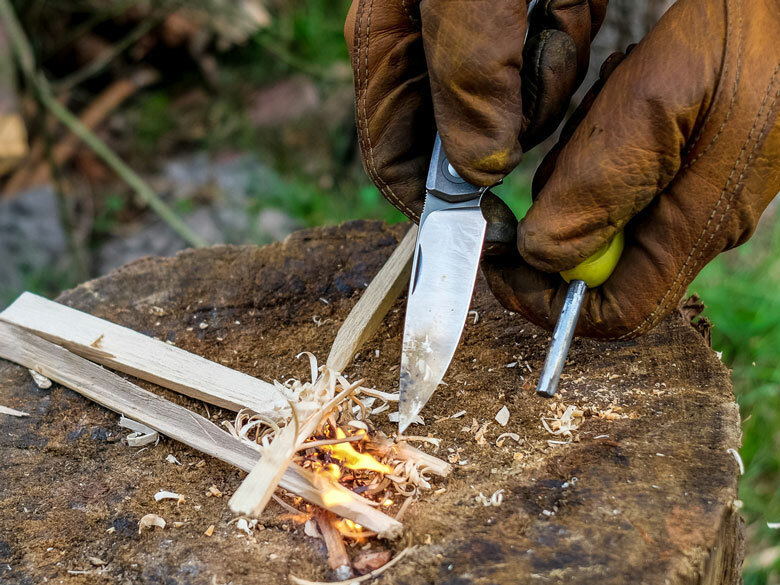 It’s a wonderful team for wood processing in the wild and overall bushcrafting. 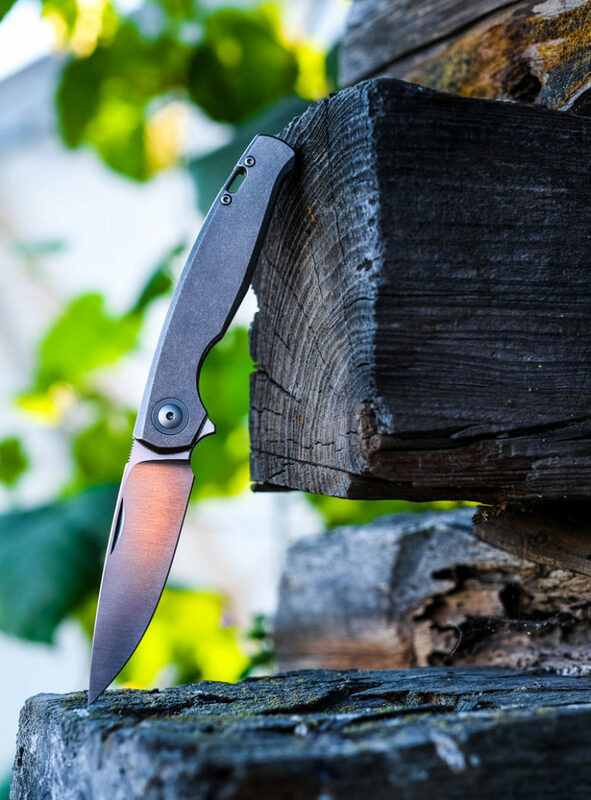 The GM3 boasts a handsome look, great performance, top materials and last but not least, a sheeple-friendly appearance when opened. 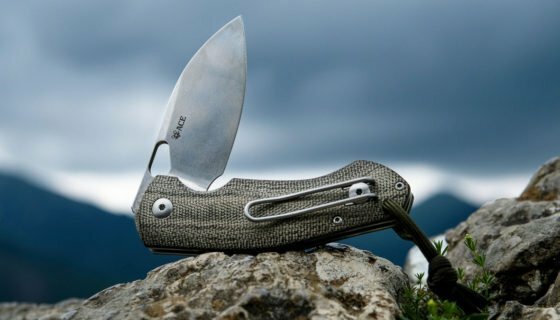 All in all, it’s clearly a very good option for a high quality production EDC knife, especially when carried in urbanized area. It’s also clearly more subtle than other Giant Mouse folders and that’s good to see. 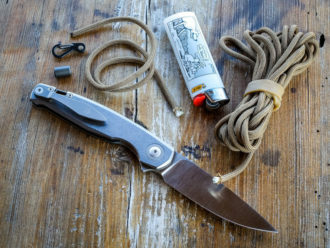 Actually, it’s been kind of a trend recently among manufacturers to introduce lightweight slim knives, but Giant Mouse nailed it with form, materials and that bold nail-nick opener, making the GM3 a wolf in sheep’s clothing. Any drawbacks? Well, it’s not the cheapest option at $325, but considering materials, manufacturing quality and the fact that it’s been produced in “good old Europe,” it’s quite justified. 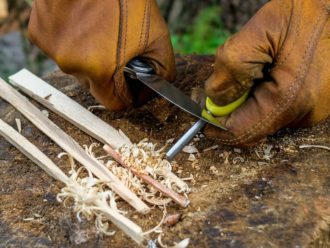 Also be careful with that fine tip, it’s a knife, not a sharpened pry-bar. 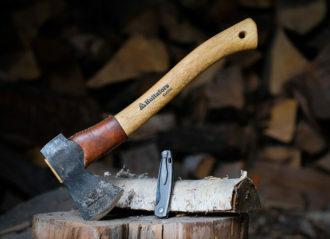 So I’d certainly back it up with an axe or hatchet for backcountry use. 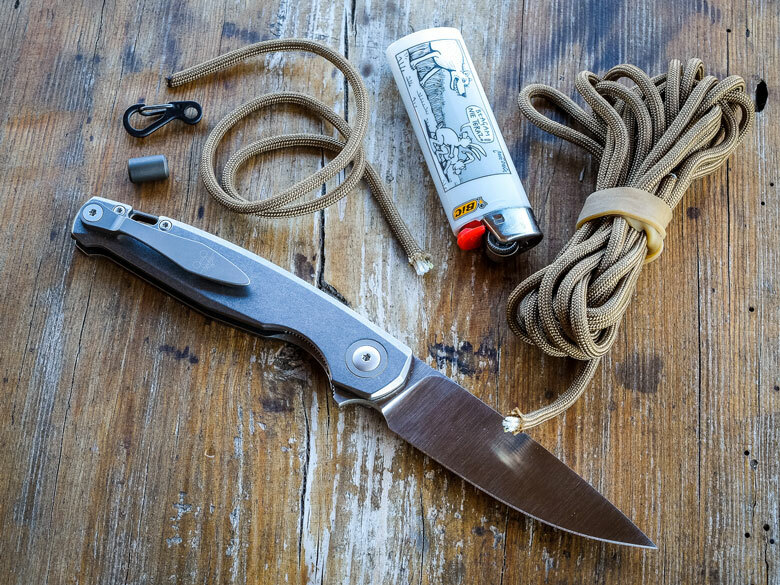 Other than that, it’s pretty much a perfect semi-gent’s flipper folder. Final word? I know there’s a place for beefy tank-like folders and I like them too! 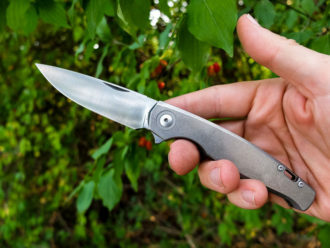 However, if you’re looking for a high performance EDC slicer that also looks great and doesn’t scare the hell out of people, the Giant Mouse GM3 might be a very good candidate. 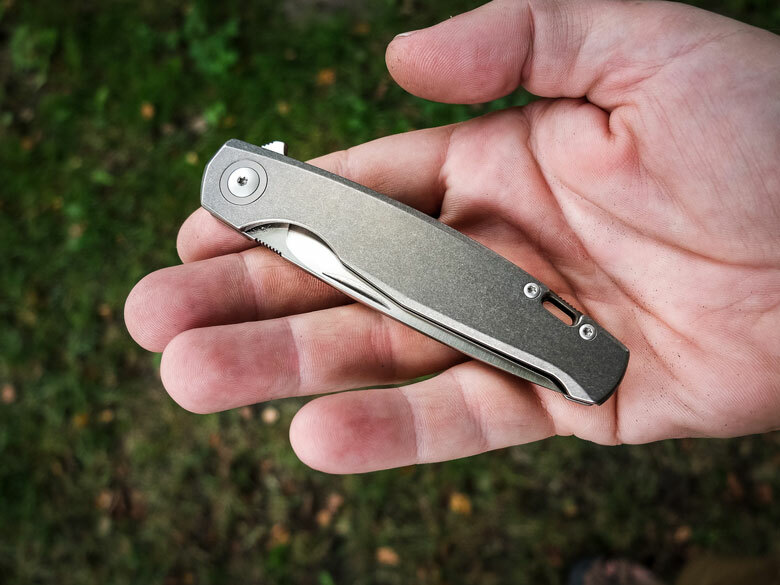 I mean, really, how could you go wrong with a knife in M390 and Titanium, designed by a Danish dream-team of Vox and Anso! ?